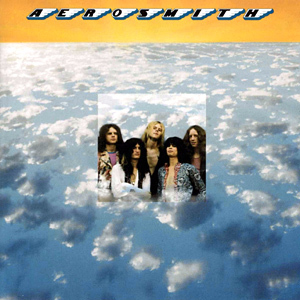 Aerosmith's Heavy Blues Approach Dominates "Movin' Out"
The first song that Steven Tyler and Joe Perry wrote together (while sitting on a water bed at the band’s Boston apartment), “Movin’ Out” remains a standout cut on Aerosmith‘s debut album (1973). Steeped in blues themes and well-paced instrumental progressions, it also happens to represent a sorely underappreciated facet of the group’s sound. Introduced by Perry’s sauntering, lightly-muted riff and Tyler’s garbled vocals from “the edge of town”, the song develops into a roaring blues-based composition proving that Aerosmith held dynamics and patience in high regard even at this early stage. Following the solo break, the band slips into a languid, effects-laden section with a vaguely “cosmic” feel. Tyler’s reverb-tinged vocals and the phased arpeggios overlay an atmospheric background that is unusually loose and expansive for the group, recalling some lingering influences from an earlier era; this feel was nevertheless revisited to great effect on Get Your Wings‘ “Spaced” (1974). More overtly, “Movin’ Out” (along with the engaging “One Way Street”) epitomizes the heavy blues approach that was integral to Aerosmith’s formative years yet less prominent on subsequent releases. Particularly among the blues-descended but relatively straightforward “Mama Kin”, “Walkin’ the Dog”, and “Write Me a Letter”, “Movin’ Out” offers a fully-developed sound that shows a well-rehearsed, (musically) mature rock band in action. Infrequently performed in the 1970s, the song was reinstated in the set list for the 1984-85 “Back in the Saddle Tour” that saw Whitford and Perry rejoin the group; one such performance, at Boston’s Orpheum Theater, was official released on 1987’s Live Classics II. “Movin’ Out” has since seen life as the obligatory “obscure”/ancient/utterly foreign number in the second half of the band’s sets, often rotating with the similarly negligible “Lord of the Thighs”. A strong live airing exists in stereo soundboard from Aerosmith’s April 23, 1973 performance at Paul’s Mall in Boston, which was broadcasted in its entirety by WBCN. This show also supplied the exceptional covers of Jimmy Reed’s “I Ain’t Got You” (as covered previously by The Yardbirds) and James Brown‘s “Mother Popcorn” released on 1978’s Live Bootleg–still the group’s only commercially-available live document recorded in the 1970s. The full concert taping is included below, with “Movin’ Out” beginning at 27:15.